Have you strolled through lately? Loving these industrial metal kidney shaped tiered tables. Unique in design and perfect for showcasing collectibles or displaying books, they have streamlined shapes that work great in smaller spaces. 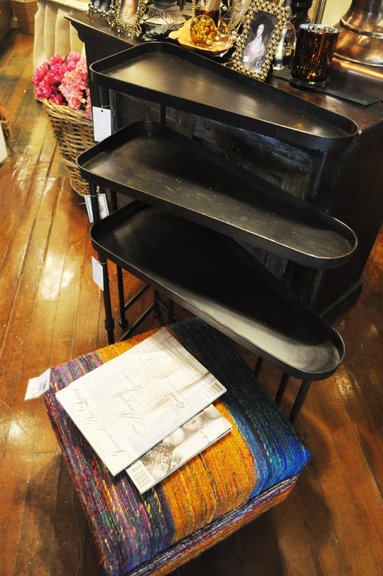 Great side tables for a chair or stagger them behind a sofa with books and a great lamp.